Spirit Airlines delivered strong financial results for CY2014 and 4Q2014 even as its unit revenues were pressured during the last three months of the year by industry pricing action driven in part by lower fuel costs and the sunset of the Wright Amendment that had limited Southwest’s ability to operate certain long haul flights from Dallas Love Field. 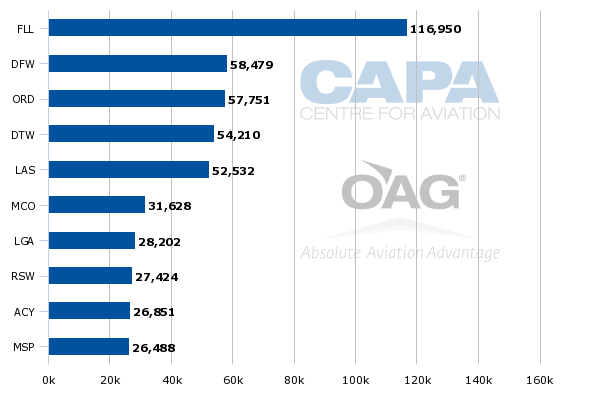 The airline continues to face unit revenue headwinds during 1Q2015, caused by industry pricing pressure during off-peak periods. But at the same time Spirit is projecting a favourable unit cost performance, which should allow it to still deliver strong margins for the quarter. Some of the unit revenue challenges could ease later in 2015 as subsequent quarters do not contain as many off peak days, and none of the pressure is triggering any changes to Spirit’s growth projections for 2015, which include capacity expansion of roughly 30.4%. Prior to the end of 4Q2014 Spirit issued slightly refined operating margin guidance for the quarter of 18% to 19% from 18.5% to 19.5%. It recorded a roughly 19% operating margin for the quarter, but also posted a 3.5% decline in yields and a 5.1% drop in operating unit revenues. For CY2014 Spirit’s unit revenues and yields each fell about 1%. 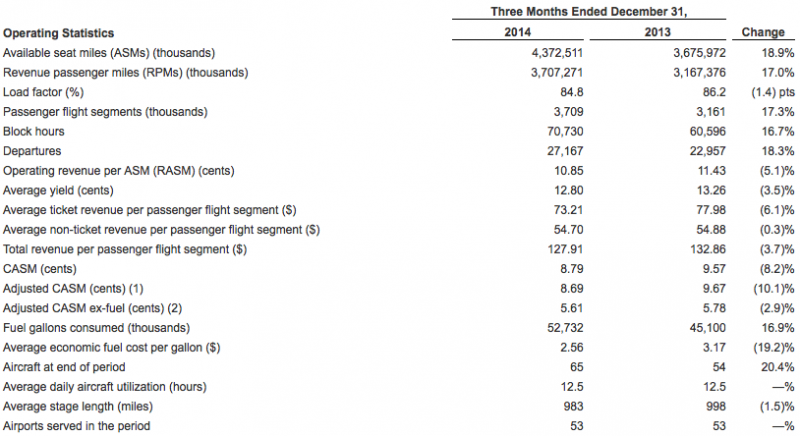 Spirit's average ticket prices dropped 6% during the quarter, and non-ticket revenue per passenger segment fell 0.3%. The decline in Spirit’s non-ticket revenue was driven by transitioning its onboard catering to a third-party provider under a revenue share agreement; however catering costs were lower, “such that our margin benefit was and is expected to continue to be a slight positive” Spirit CEO Ben Baldanza recently explained to analysts and investors. The company delivered a strong unit cost performance in 4Q2014, with unit costs excluding fuel falling 2.9% driven by lower distribution costs that included a litigation settlement claim of USD2.9 million, lower unit maintenance costs and a decrease in aircraft rent due a change in the mix of leased and purchased aircraft. At the time Spirit refined its 4Q2014 operating margin guidance, the airline cited two major factors for its adjusted estimates – pressure on close-in bookings driven by lower fuel costs and dilutive pricing in Dallas stemming from the added capacity in the market after the Wright repeal. Southwest has obviously added the most capacity, with the introduction of 15 new routes from Love Field by YE2014 and additional routes since the start of 2015. But Virgin America, Delta and United have also added varying degrees of capacity from Love Field. Spirit operates in the Dallas market from Dallas/Fort Worth International. The airport is its second largest base measured by seats for the week of 9-Feb-2015 to 15-Feb-2015, and its fourth largest by frequencies. DFW’s largest operator American Airlines has also cited unit revenue pressure from large capacity additions in some of its markets, largely from low cost airlines. 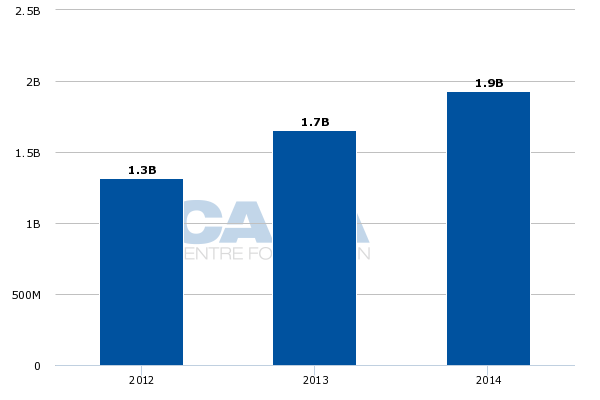 During 4Q2014 its unit revenues fell 1% year-on-year, and it has stated that expects a 2% to 4% drop in 1Q2015. Spirit is forecasting a 9% to 11% drop in unit revenues for 1Q2015, driven by both internal and external factors. Mr Baldanza explained that “if you include our markets in Dallas that are recalibrating following the Wright amendment expiration, we have about 40% of our capacity developing throughout the year. In addition, we continue to see compression in the pricing structure in many of our markets primarily for travel on off-peak days”. Mr Baldanza explained that roughly a third of Spirit’s anticipated 1Q2015 unit revenue decline is attributable to new market ramp up and increased aircraft gauge as six Airbus A321s are scheduled for delivery in 2015. The airline is also taking delivery of eight A320s during the year. Another third of the unit revenue drop is being driven by the pricing compression, and the remainder is driven by “what we are seeing in Dallas, as a result of the aggressive pricing trends we assume are related to the large increase in capacity in Wright amendment markets”. Identifying Spirit as a “small player in the Dallas market, we will manage our business as the two large players eventually reach pricing stability,” said Mr Baldanza. 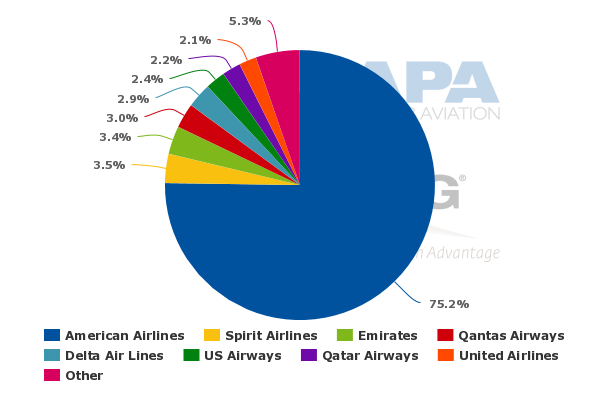 Spirit is DFW’s second largest airline measured by ASMs with just 3.5%, while American represents 75%. 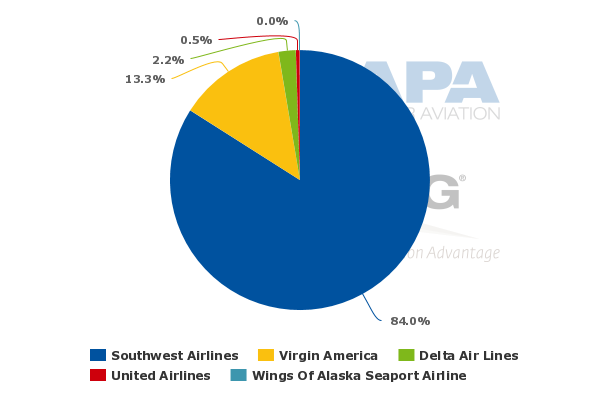 Southwest is obviously Love Field’s largest airline representing 84% of its ASMs for the week of 9-Feb-2015 to 15-Feb-2015, and increased its seats deployed from the airport by 28% year-on-year. Its is ironic that a drop in fuel prices would pressure an ultra low cost airline like Spirit, but as Mr Baldanza explained when the largest input costs drop, it makes economic sense to fill marginal capacity. In many respects Spirit’s target passenger is the customer larger airlines focus on when they are attempting to leverage lower fuel prices to fill otherwise empty seats – the cost conscious traveller looking for the lowest possible fare. Mr Baldanza cautioned that his assessment does not “suggest exactly sort of what we think is going to happen perfectly. But we certainly think that the issue gets a little better because of the relative strength and weaknesses of demand on any given day in the quarter”. Some of the revenue challenges Spirit faces from other airlines lowering prices for marginal seats should be alleviated by a projected 4% to 6% reduction in unit costs excluding fuel for 1Q2015 and a 6% to 8% decline for CY2015. The largest drivers for the decrease are salaries, wages and benefits and aircraft rent. The larger gauge aircraft drive lower unit costs in salaries, said Spirit, and aircraft rent per available seat mile will benefit from the airline’s taking more debt financed aircraft versus leased jets. During 3Q2014 Spirit warned that its planned 30% capacity growth for CY2015 could create some near term pressure on unit revenues. But at the time Mr Baldanza concluded that Spirit is a margin driven airline, and if the company can drive higher margins with a lower unit revenues and even lower unit costs, then “that’s a great thing for us”. Spirit’s CEO offered that conclusion prior to the airline refining its 4Q2015 margin guidance, but still adheres to that philosophy. “We think oil being lower increases our opportunity for growth, even if that means we achieve our high margins and grow earnings through lower RASM and much lower CASM,” Mr Baldanza stated. Even as its unit revenues are projected to fall more than CASM in 1Q2015, Spirit estimates a first quarter operating margin of 21% to 24%. Even with the pricing pressure Spirit began to experience in 4Q2014, it grew top-line revenues by 13% to USD474 million and CY2014 revenues by 16.8% to USD1.9 billion. Its CY2014 revenue growth slowed from the 23% recorded in CY2012 and the 25.5% posted in CY2013, but remained solid, and coupled with a 14.9% drop in operating expenses to USD1.6 billion produced a nearly USD26 million increase in operating revenue during CY2014 to USD355 million. 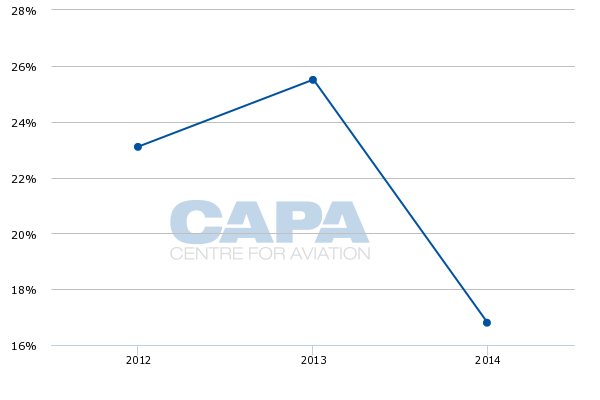 Spirit’s decline in operating expenses for CY2014 was a marked drop from the 23.5% it posted in CY2012 and the 19.9% increase it recorded in CY2013. 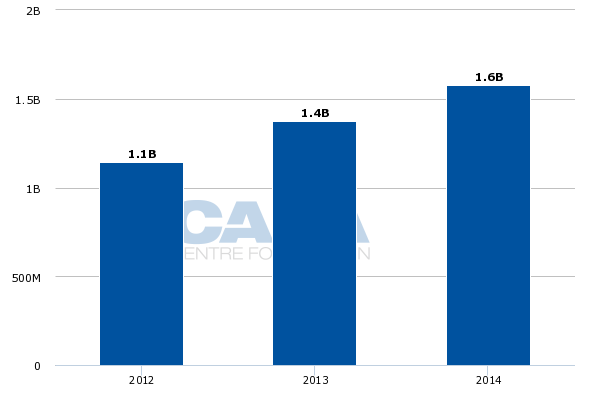 Its net income for 4Q2014 increased 29.4% to USD55.9 million and by 25% for CY2014 to USD355 million. Spirit has no plans to change its planned capacity growth of 30.4%, which would be somewhat tough given it has 14 aircraft deliveries scheduled for the year, bringing its total at YE2015 to 80 from 65 the year prior. As its top line financial results and margins continue to be strong, Spirit arguably does not need consider changing its growth targets for 2015. But the unit revenue pressure it faces created by lower fuel prices shows that its business model is not immune to some level of cyclicality. 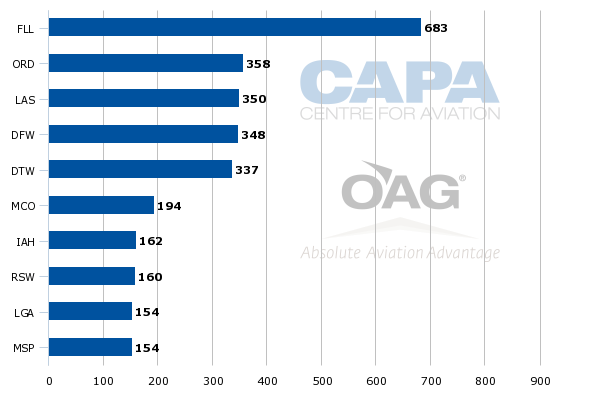 Spirit also points to an acute awareness among larger US airlines of Spirit, and demonstrates their willingness to target Spirit’s passengers under the right conditions. Spirit is no doubt aware of this scenario, and is aiming to put investors at ease, maintaining its strong financial fundamentals will remain intact during its latest set of challenges.